- To produce the sample of 2 x 6 long strip as per the requirement of the customers of Traverse Length required, Space required and Number of Threads per inch suitable for winding strip of 10 to 12 no of samples at a time for making the shade card . We are offering Roll Winding Machine to our clients. As per the changing needs and desires of our customers, we are readily betrothed in delivering best quality of Multi Pole Stator Winding Machine. 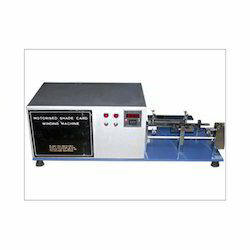 We manufacture a wide range of winding and unwinding machines that are manufactured using qualitative material. 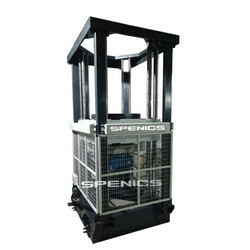 These machines are available in different specifications. Our company is providing Volufil Winder. Our product is developed as per worldwide industry norms employing the advanced technology. Horizontal coil winding machine are latest designed machine and we manufacturer and exporter provide you all over the world. These are of double speed and less expensive. V Cone (or) Kings pool Winder with Twin Spindle Precision with each spindle wind simultaneously. This is the Cone Winding Machine for Winding Cones, Y Cones, Heavy Cops, Y Cops 2 & 4 per Head.